Alfonso Martinez de Irujo, Duke of Aliaga, was born in Madrid, Spain. He is the son of Pedro Luis Martinez de Irujo and Maria del Rosario Cayetana Fitz-James Stuart, 18th Duquesa de Alba de Tormes. 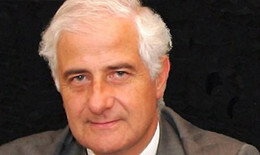 Alfonso Martinez de Irujo studied Economic Sciences and is President of Executive Education at IE Business School, Spain. IE is an international institution dedicated to educating business leaders through programs based on core values of global focus, entrepreneurial spirit and a humanistic approach.